One in two children in Lebanon have been bullied at some point in their life, a new nationwide study by Save the Children has revealed. 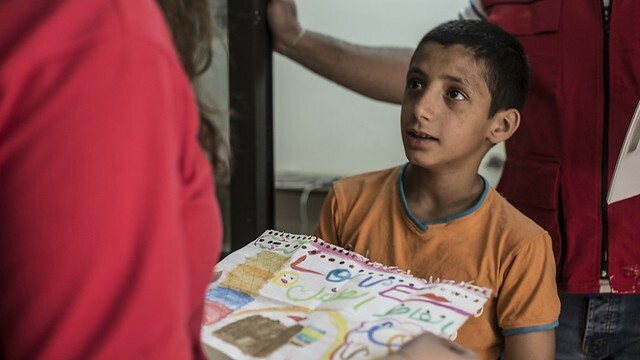 A national survey has highlighted a massive underreported bullying issue in Lebanon, where children develop anxiety and even drop out of school as a result of being subjected to different forms of violence in their learning and community surroundings. Sultan shows a drawing he sketched for Save the Children. The boy was overcome with despair before deciding to seek Save the Children for support.